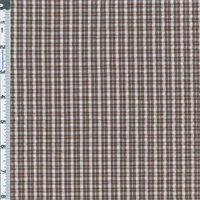 Light-weight plaid woven with seersucker texture. Perfect for shirtings, warm weather dresses and jackets, children's clothes, and even casual curtains. Machine wash, tumble dry, no bleach.